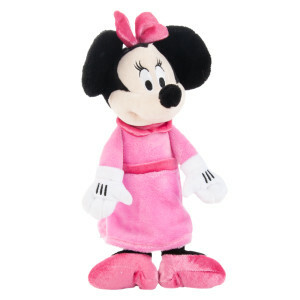 PetSmart's "Pin It To Win It" Contest And Disney Toy Giveaway! And Tigger, too! We're a bit late posting about this PetSmart contest and giveaway, but the good news is that you have through Monday April 1 to enter. 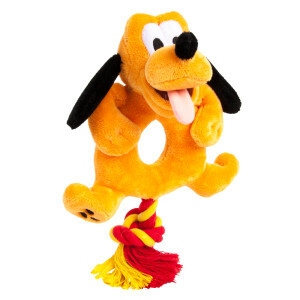 You also have quite a bit longer to enter our giveaway: One lucky winner will win FIVE plush Disney's toys plus a Disney Doggy T-Shirt-see details to enter at the end of this post! But first, we'll tell you all about Disney's new line of pet apparel and toys, now sold exclusively at PetSmart. From bandannas and tees to an array of your favorite Disney characters, PetSmart has an assortment of magical products to share! Along with Parental Unit's favorite character, Tigger (this was my favorite of the toys I tried, too), there's Mickey and Minnie Mouse, Donald Duck, Tinker Bell, Goofy and many others. 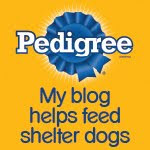 To celebrate the introduction of these new products, PetSmart is sponsoring a Pinterest contest that you (yes you!) can enter daily to win in the PetSmart "Pin It To Win It" sweepstakes featuring these Disney Products. You can Pin from photographs of different Disney products featured each week, directly from PetSmart's Facebook page to your Pinterest account. It's super easy, but you only have through this Monday, April 1 to enter-so steal some Easter candy from your child's basket to tide you over and Pin away! But here's the best part: One lucky winner will win the grand prize of $10,000, plus loads of weekly prizes ! Yow! But enough about winning $10,000... here we go with our toy review and our giveaway! We were honored to receive a box of these toys to try out and one to share with our readers. Rest assured that our opinions are our own. Each of the toys we received is designed with several different canine temptations in mind: Feel like playing tug-o-war and hearing a squeak at the same time? Then this donut rope, plush squeaky toy is for you! How about just playing fetch with a squeaky plush toy with dangling stretchy legs? Then try out Mickey or Minnie Mouse or Tigger for some fetching fun! Bu it's more fun seeing a real dog (hunter) in action, isn't it? Here's yours truly going crazy with my new toys! Micky with the stretchy legs (you can see what a good size these toys are). Recognize Tigger? He's squeaky and has stretchy legs, too! Parental Unit and I playing tug-o-war with our Goofy donut rope-it squeaks, too! Can I fit more than two plush toys in my mouth at once? The just-fetched Tigger and me. Overall, we think these are well-made, fun toys! There are few to none "do-dads" that can be pulled off or swallowed, and each safely satisfies more than one canine craving, like gnawing, squeaking, tugging and fetching. We do recommend removing the plastic bottle in the Bottle Cruncher toys before giving it to your dog-it was already slipping out of our Minnie Mouse, and the toy functioned perfectly well without the bottle. As always, we recommend snoopervising your pooch with toys and when wearing clothing of any kind. 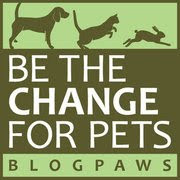 This contest will run from today, March 30, 2013 through Saturday April 13, 2013 at 8:00 EST. I liked, I tweeted, I pinned. Gizmo loves stuffies but I agree with you on taking the bottles out of bottle cruncher toys...I don't like those very much. I definitely want to be entered to win :) Happy Easter! 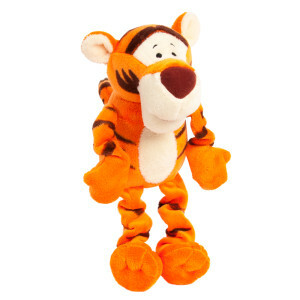 Oh I love Tigger, the bouncy tiger is so cute! We would like to enter. Those look like some fun toys. Happy Easter. I would love to enter! I love Disney and so do my four dogs! Please enter me in this fun contest.. I just joined Pinterest today, hope I did this right, also shared via FB link. :) Would love to win!